Jorge Lorenzo claims he feels more at ease on Honda's MotoGP bike than he did with the Ducati this time a year ago after an encouraging end to pre-season testing. Having missed the opening test of the year in Sepang after breaking his wrist in a training accident, Lorenzo got his first on-track running of 2019 in the Qatar test. 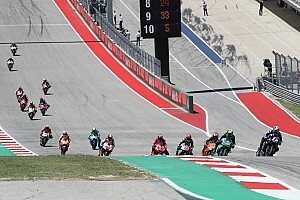 Following a low-key start to the test, the three-time premier class champion was fifth-fastest on the final day, setting the overall sixth-best time over the three days. Lorenzo, who previously admitted he was struggling to find a comfortable position aboard the RC213V, said was pleased with the "huge progression" he made throughout the test. "I feel more adapted to the Honda than to the Ducati at this point last year. But I still have a lot to discover, especially in terms of race pace," he said. "On a physical level, I am worse [than last year], but in Argentina I will be better and by the third race [Austin] I will be at 100 percent. "When we started working on the settings we really improved the bike, as I rode better in general. "Today [Monday] we could be competitive already and very close to the fastest one. Very satisfied, that shows that we have potential and if we keep working we can go very high. "Now we are much closer, we have big potential and sure if we keep working like that with all the Honda potential and I will understand more the bike and obviously get fitter. "The positive is that the progression in these three days has been huge. 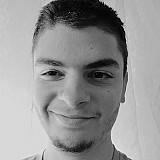 Our potential is very huge." On Sunday, Lorenzo admitted that his limited track time aboard the Honda and his recent injury setback was likely to make his first races with the Japanese marque "difficult". 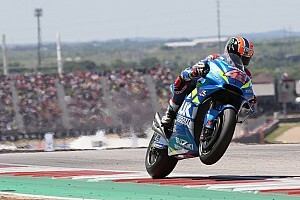 The Spaniard suffered his first crash of the test at Turn 2 on Monday, which he said "scared" him, but did not affect his wrist. "I had a very strong fall due to the low temperature and humidity," he explained. "The fall scared me a lot because I was in race mode. "It was a mistake to do a half-simulation at that time. The front closed when I was straight, and I started to ride protecting my hand as best I could." 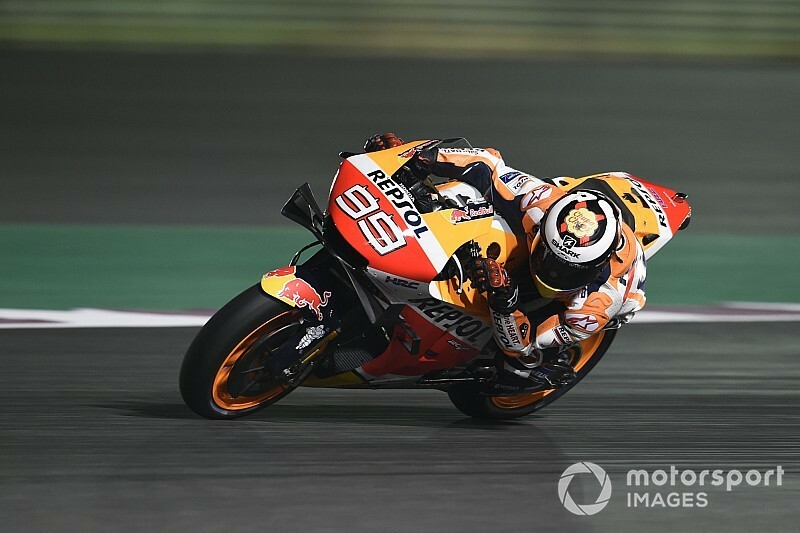 Marc Marquez, who finished the test third-fastest, was asked on Monday to give his verdict on his new teammate's performance in Qatar. 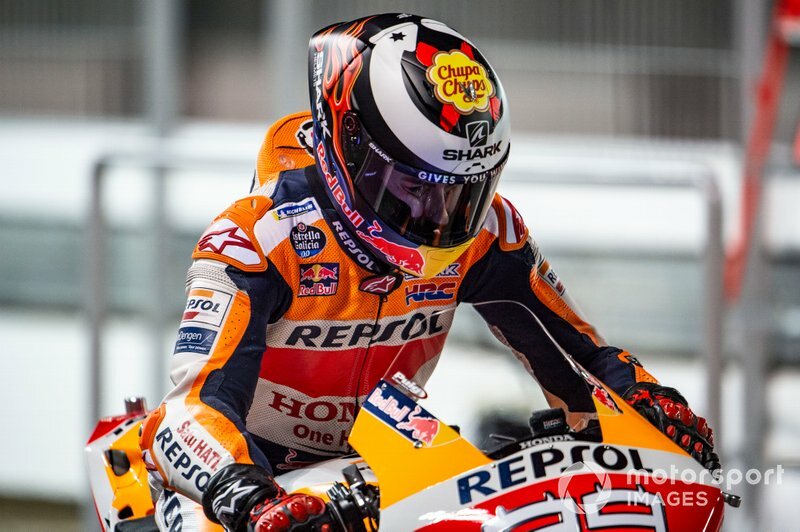 "Today he did a very good lap, one fast lap he was strong, but on race pace he is very far at the moment," said Marquez. "Normally this is a circuit where he is fast, it suits well his riding style. "We will see, I think he did a good job, of course he needs time. [But when] you are in Honda HRC, you must be in front."